Wolf Appliance Repair Long Island NY | RD Appliance Service, Corp. There are plenty of amazing high-end cooking appliances on the market today, but Wolf ranges might just be the best. No other manufacturer offers the total package of high-quality craftsmanship and professional-grade performance, all wrapped together in a stunningly beautiful design that adds class and refinement to any kitchen. Even the best break down sometimes though, so if you find yourself in need of Wolf appliance repair, give the experts at RD Appliance Service a call today. To properly service and repair premium brands like Wolf, you really need to know your stuff. Experience and familiarity with the product are crucial, and RD Appliance has more than anyone. We’ve provided first-class Wolf appliance repair to our community for decades! Our company has even been handpicked by Wolf as their factory authorized servicer for the greater Long Island area including Manhasset, Glen Head, Garden City, Huntington, and Bethpage. Don’t hire a cut-rate amateur to work on your high-end range! Save yourself a headache and instead, call Long Island’s most professional Wolf appliance repair experts, RD Appliance Service. Most people don’t realize how important their cooking appliances are until they break down. If your Wolf range stops working correctly, you need to contact a qualified repair service provider immediately. Luckily, you’ve already found RD Appliance Service, Long Island’s top Wolf appliance repair professionals. 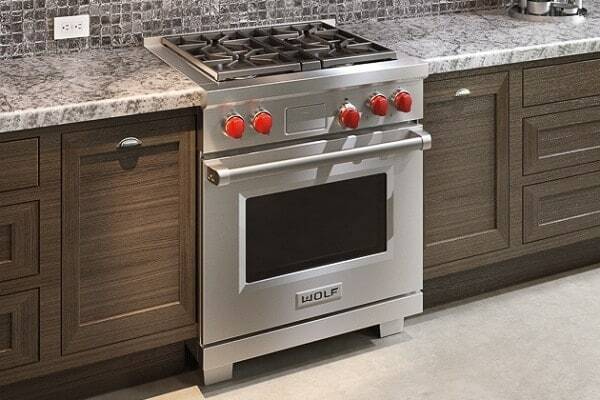 And while Wolf may be best known for their restaurant-quality ranges, their product line has expanded to include cooktops, wall ovens, microwaves, warming drawers, and much more! Our repair technicians service the entire line of Wolf products, so we’ve got you covered no matter what! Do you have a Wolf oven not heating? Is your Wolf downdraft fan not turning on? Don’t wait, call RD Appliance Service now and our Wolf appliance repair techs will take care of the problem fast. Ranges are what Wolf is known for, and they don’t disappoint! That is unless your range breaks down at the worst possible time. If you’re dealing with a malfunctioning range, call RD Appliance today. 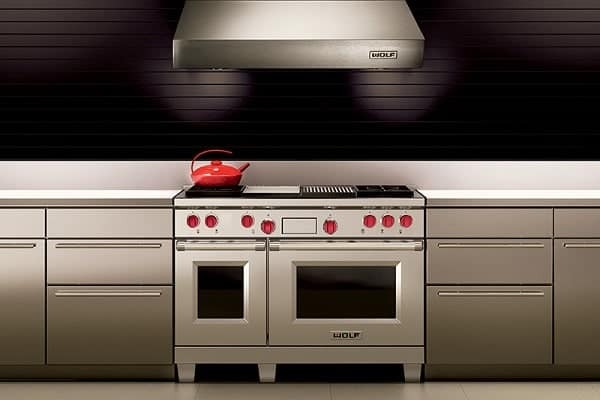 Elegance, sleek design, and performance are what set Wolf’s cooktops and rangetops apart from all other brands. If your Wolf surface cooking appliance fails, let the factory authorized technicians at RD Appliance get it back to work quickly. The Wolf product line has grown so much in recent years! Not only have they introduced new appliances like built-in ovens and microwaves, but all of them live up to the same standards for quality and beauty that Wolf’s ranges are so well known for. Let RD Appliance handle your Wolf appliance repair today!